"Tympanum" brings together eight artists whose work examines the interface between the inner life and the outside world of the other through the membrane of the body. 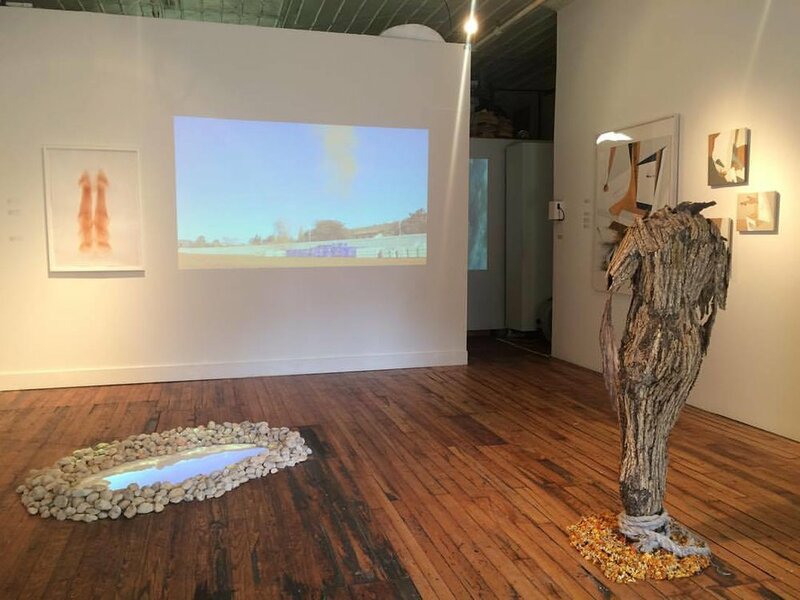 Artists Wendy Copp, Zachary Fabri, Leslie Fry, Paul Higham, Vishnu Seesahai, Sandra Stephens, Julie Ward, and Lindsey Wolkowicz all address the body as a tympanum between the outside world and our inner lives through the lenses of identity, technology, architecture, nature, and psychology. The tympanum, a thin, transparent membrane that separates the auditory canal from the middle ear, is obliquely stretched. As Jacques Derrida describes in his 1972 essay, “Tympan,” the tympanum also “squints,” separating the inner and outer world and determining the limits and truth of either side in direct proportion to its obliqueness. Through their works, these artists offer us the opportunity to squint, unlocking the double understanding of the membrane and unbalancing the pressures that correspond to either side.